This classic oriental wall fan Handcrafted in bamboo and handpainted on heavy paper.Oriental fans has a history of two thousand years in ancient China. Artists express their artworks by drawing and writing on the oriental fans. 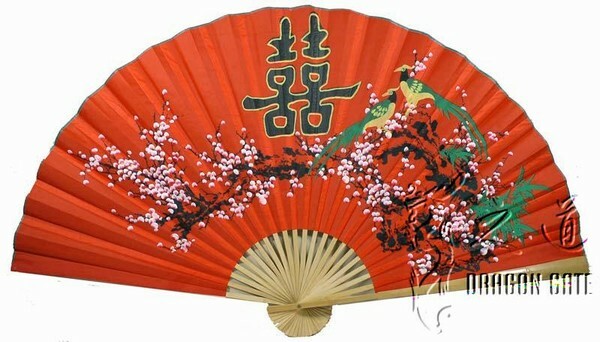 Oriental fans are both collectable arts and very beautiful for wall decor. Chinese people also believe that fans are good for Feng Shui- the art of placement may bring you good luck.